...an exhilarating, love-infused story of mystery and adventure. The intellectual spy thriller has a new voice in Andrew Bernstein. "shows why a heroic view of human nature leads men and women trapped behind the Iron Curtain to fight for freedom"
The action scenes bring the heat. The dialogue both sparkles and inspires. Bernstein has penned an inspiring tale. This superbly suspenseful novel captures a unique period in political history. 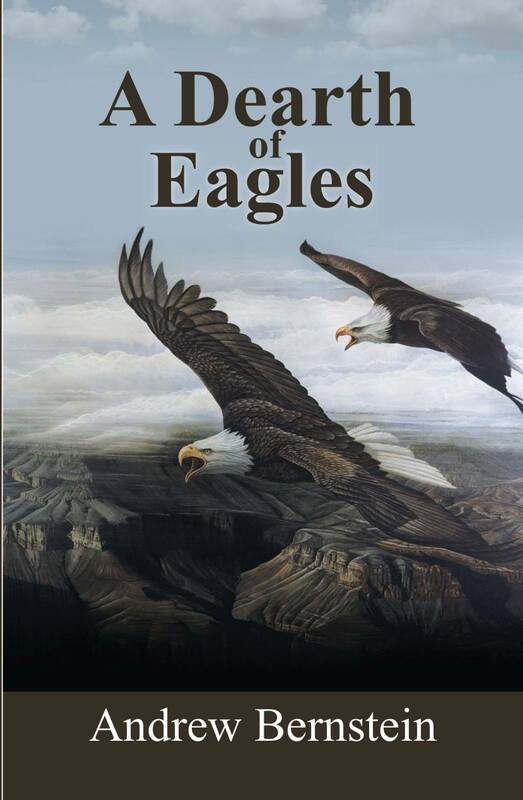 A Dearth of Eagles is about a Bulgarian emigre in NYC in 1988, a writer, who simultaneously battles the Bulgarian secret police to smuggle dissidents to freedom from behind the Iron Curtain but, above all, battles the modernist literati to publish serious hero stories in a literary culture rejecting heroism for anti-heroism. Click here to read an excerpt published over at The New Romanticist.